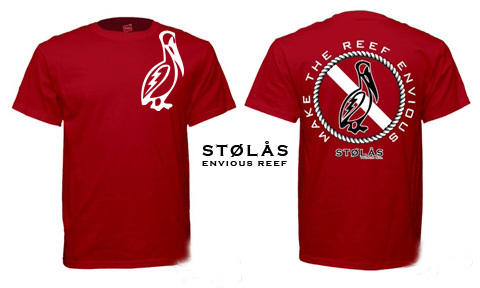 Click the button below to add the Envious Reef Tee - Red to your wish list. Grab yourself a hot STØLÅS TEE! One of our favorites, the Envious Reef Tee is bold and even though the reef is full of beautiful corals, they will be envious of your STØLÅS. This shirt will grab the attention of those around you. This shirt is 100% cotton and machine washable.